Don’t forget to order your greetings cards. 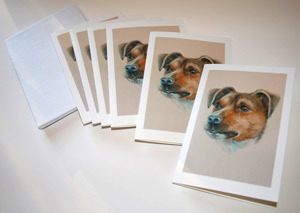 If you’ve already had a watercolour per portrait painted, then you can order a set of personalised greetings cards with your animal on the front. How unique is that! ← Christmas bookings – don’t delay!